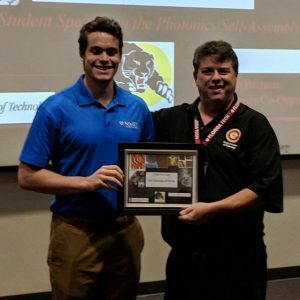 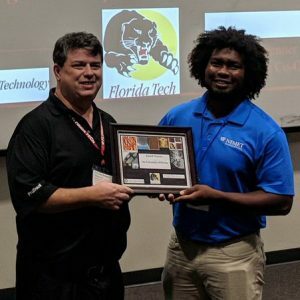 Calen Leverant and Russell Macoon won best presentation awards at the NanoFlorida Conference at Florida Institute of Technology on Oct. 5-7, 2018. 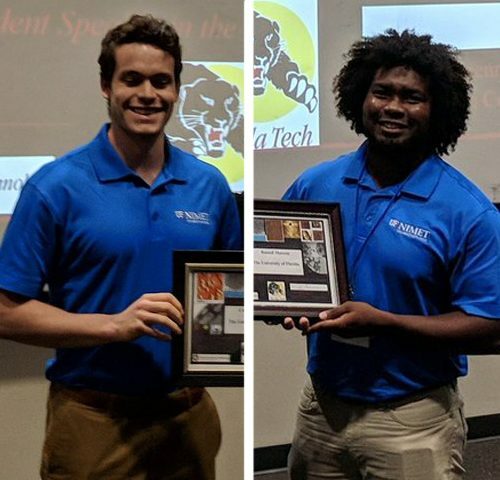 Leverant won best presentation in Photonics, and Macoon won best presentation in Nanomedicine. 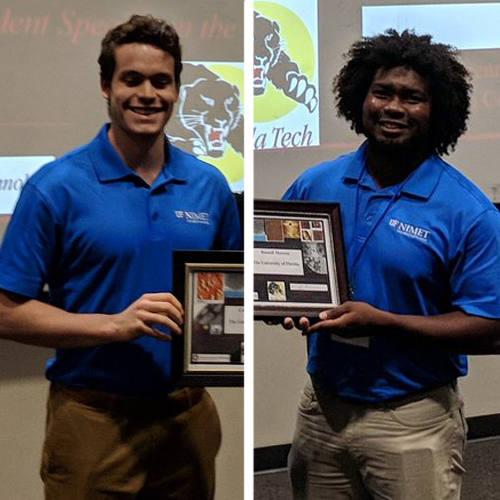 Students and faculty in attendance shared nanotechnology research in medicine, materials and devices, energy and the environment, agriculture, space exploration, and education.